Graylings are a family of fish made up of several different species, some including the Arctic grayling, East Siberian grayling, and Mongolian grayling. The fish is native to northern waters, From the United Kingdom to northern Europe, Siberia, and North America. This section will look closely at the Arctic grayling. 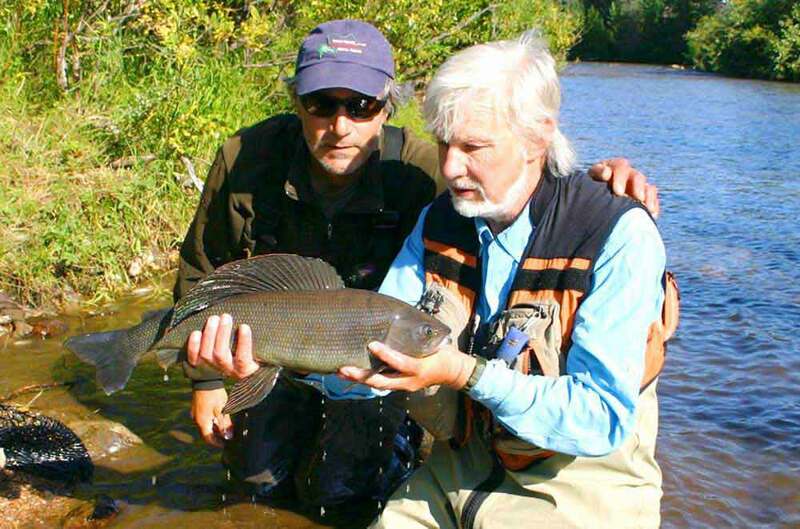 The most distinguishing characteristic of the Arctic grayling is its dorsal fin, looking over-sized to the point it almost looks like a miniature sail. The fin is dark-gray, blotched with both pale and deep-blue spots. The tail fin is slightly forked. The body has scattered black spots, with scales much larger than trout species. Native to Siberia, northern Canada, Alaska, and some pockets in the lower 48 states, predominantly as a result of stocking. Small, cold lakes with clear water. Tributaries and streams must be present for spawning purposes. Spawning season is in early spring, taking place on gravel beds in streams. Information credit: Arizona Game and Fish Department and Montana Field Guide.